STG Aerospace is proud to announce that the flagship carrier of Turkey, Turkish Airlines, has commenced a retrofit programme installing STG Aerospace liTeMood® LED lighting across its Boeing 737-800 fleet, as it looks to harmonize its cabin interiors with the latest LED-installed aircraft being delivered by Boeing. One of the world’s leading airlines and a Star Alliance member, Turkish Airlines is the national flag carrier airline of Turkey, operating scheduled services to 302 destinations in Europe, Asia, Africa, and the Americas. Available, certified and flying on Boeing 737NG, 737 Classic and 757 aircraft, and on Airbus A320 Family, A330 and A340 aircraft, liTeMood® has become the undisputed cabin mood lighting system of choice for operators of narrow-body Boeing fleets and is already delivering significant cabin transformations to many airlines worldwide. The full liTeMood® product range will be on display inside a full-size cabin simulator at Aircraft Interiors Expo in Hamburg on STG Aerospace’s stand. 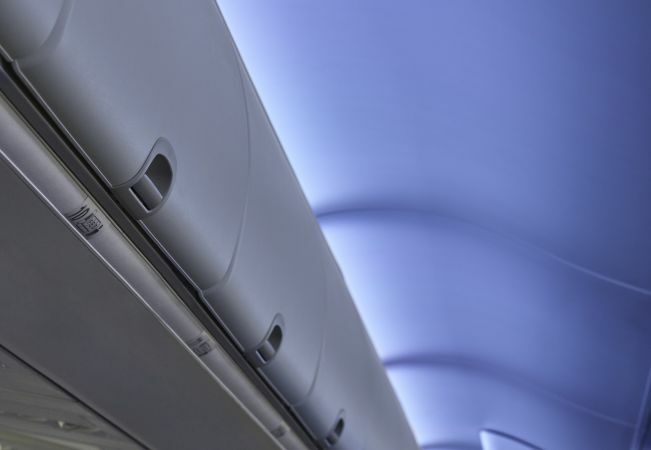 Established in 1995, STG Aerospace is an award-winning, world leader in aircraft cabin lighting technologies. Its products are currently installed in over 11,000 aircraft worldwide representing one third of the world’s passenger fleet. liTeMood®, an LED lighting range designed specifically to retrofit commercial aircraft cabins, including a plug-and-play, programmable, mood lighting system together with ancillary cabin lighting products. STG Aerospace has won the Queen's Award for Enterprise four times, a Boeing Best Performance Excellence Award eight times, the 2016 APEX Award for Best Cabin Innovation, the 2017 PAX International Readership Award for Best Cabin Interior Enhancement and, together with SpiceJet, the 2017 Inflight Asia-Pacific Award in the Interior Retrofit Project category. Counting hundreds of airlines, lessors and MROs among its customers, STG Aerospace is also a supplier to aircraft OEMs, including Boeing, Embraer, BAE Systems, Fokker and Saab. Privately owned, STG Aerospace has its Headquarters and UK manufacturing facilities and a Research and Development centre in Wales (UK) and an office with further manufacturing facilities in Miami serving the US market. The company also has an official presence in China with a Wholly Foreign Owned Enterprise (WFOE) based in Beijing, STG Aerospace (China) Co., Ltd.